Prosecutors’ Center for Excellence, January 2016. Click here. Benefits and Challenges of New Evidence: With the focus on erroneous convictions of the past, there has been little discussion of the improvements in science and technology that are enabling police and prosecutors to get their cases right in the first instance. Time and again this new evidence is being used in jurisdictions of all sizes to verify the guilt of a suspect or to exonerate an innocent suspect. However, with these benefits come serious challenges. Prosecutors must find the manpower, technical knowledge, and funds to keep pace with the changing technologies and the deluge of digital evidence. Pre-existing budget cuts and diminishing labor pools often compound these hurdles. Article Summary: This PCE article is an overview of the forms of evidence increasingly used by prosecutors, including DNA, surveillance cameras, computers, cell phones, GPS, social media, and police body cameras. The article also discusses emerging technologies that are likely to have an impact on criminal investigations in the future, including Next Generation DNA Sequencing, drones, facial recognition, and gunshot detection. The authors address challenges related to the increased use of cloud storage and the phenomenon of “going dark”, which is limiting law enforcement access to smart phone and other digital evidence.” The article contains reference materials and case examples from across the country. Statewide Best Practices Committees for prosecutors are a productive way for prosecutors to work together to address the emerging issues presented by new and evolving evidence. 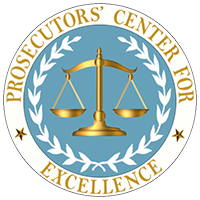 For more information contact Kristine Hamann, Executive Director of Prosecutors’ Center for Excellence and see PCEinc.org.